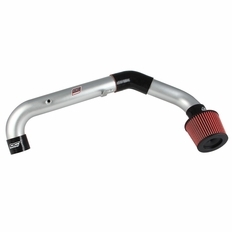 DC Sports Air Intake Systems improve the performance of your vehicle by reducing air restriction and improving air flow. DC Sport Air Intakes provide the best of both worlds in heat protection and improved breathability. Every DC Sports Intake includes an air filter that requires no oil, therefore no chance in contaminating the mass air flow sensor, which can result in loss of power and higher fuel consumption. Also, your vehicle's mass air flow sensor will bolt right onto your new DC Sports Intake, meaning no check engine lights and better vehicle performance. The Part number for this item is cai7050 and it fits 2011-2013 Scion tC models.